The word is out! We're looking for entries and please keep them coming in (by 30 April). This year, we aim to showcase more photos to give everyone a chance to show off their photos - even kids under 16 can take part too! So get your kids involved and love cats from a young age. 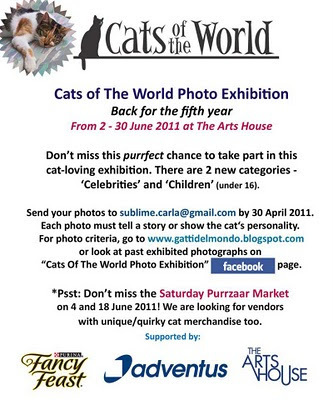 And if you're not aware, we are having a Saturday Purrzaar Market on 4 and 18 June at the Arts House which will see 6 quality vendors - each with handmade crafts with the cat theme. 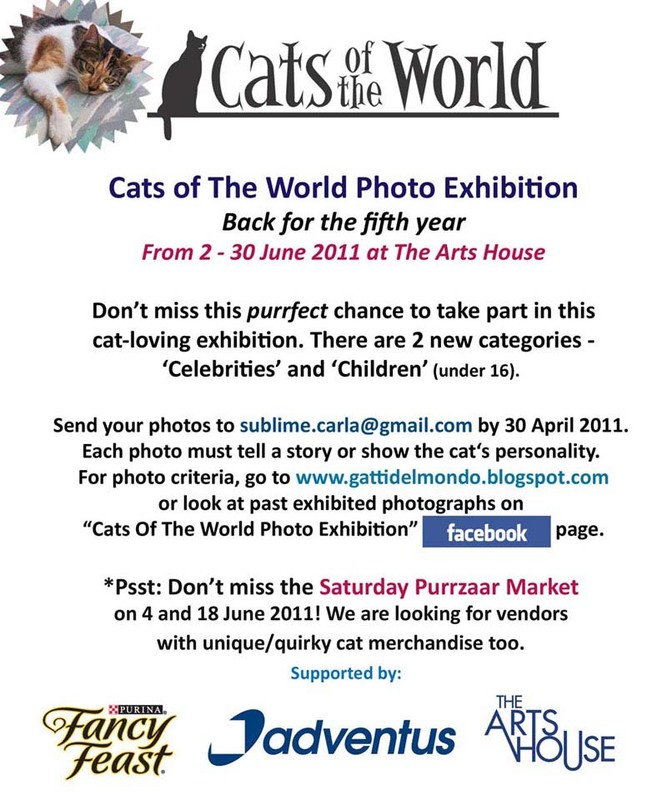 Cat Welfare Society is also our guest vendor, so do come and show your support!